Yes, deficiency of vitamin D can cause bone pain and muscle weakness. However, mild vitamin D deficiency is not necessarily associated with any symptoms. Vitamin D has been referred to as the "sunlight vitamin" because it is made in our skin when we are exposed to sunlight. It can also be obtained through dietary sources, but the main source of vitamin D in our diet is foods that have been fortified to include the vitamin (such as in milk and other dairy products). 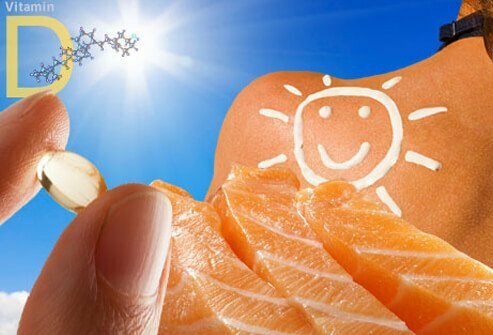 Vitamin D is only found naturally in significant levels in a few foods, including fatty fish, cod-liver oil, and eggs. Please describe your experience with rickets. What were the symptoms of your rickets? What treatment(s) did you receive for rickets? Have you or your child been diagnosed with a vitamin D deficiency? Please share your experience. Renal osteodystrophy is a bone disease. The kidneys fail to maintain required levels of phosphorous and calcium in the blood. Renal osteodystrophy is common in patients with kidney disease and affects dialysis patients. Diagnosis is performed with a blood sample, and in some cases a bone biopsy. Medication is the general treatment for renal osteodystrophy.